Gorgeous blue sapphires are surrounded with sparkling diamonds in these lovely 14k white gold omega back earrings. . E02174 - SA. W. 0.43 CT TW Diamonds. 1.44 CT TW Sapphires. 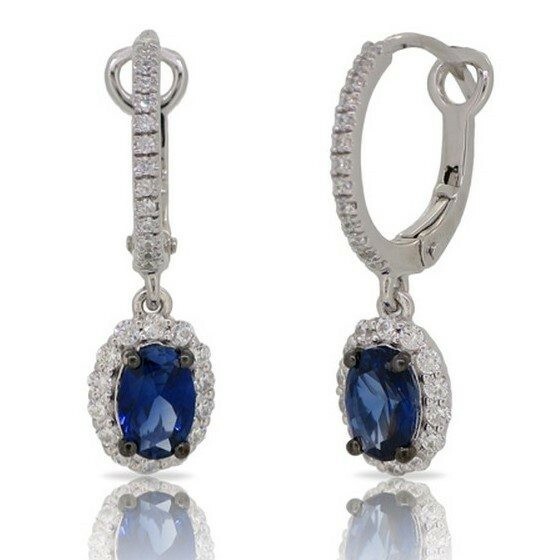 Gorgeous blue sapphires are surrounded with sparkling diamonds in these lovely 14k white gold omega back earrings. E02174 - SA. W. 0.43 CT TW Diamonds. 1.44 CT TW Sapphires.